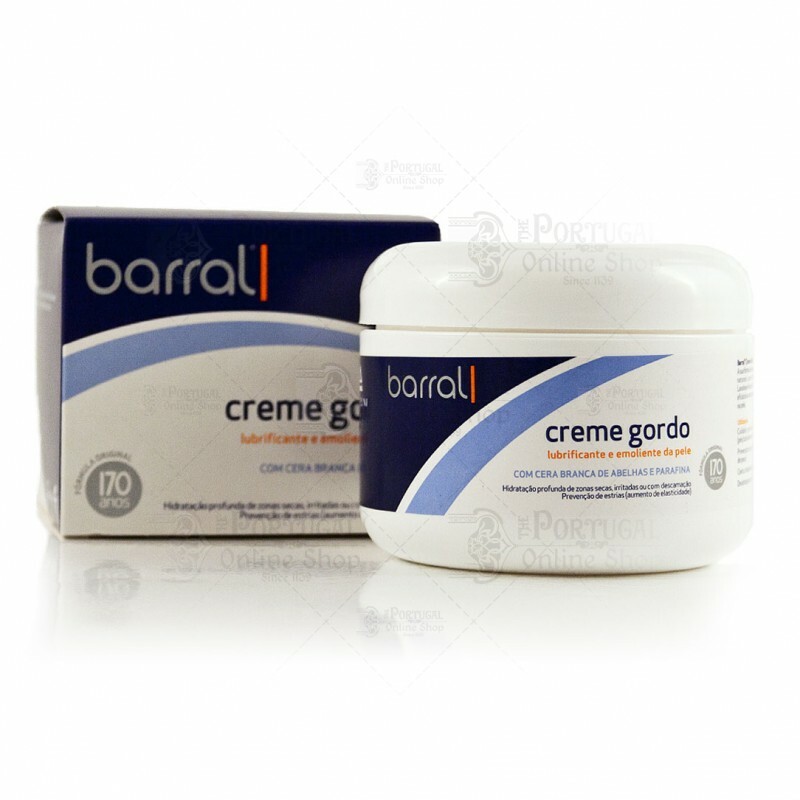 One of the most successful Portuguese products of all time, "Creme Gordo Barral" is a must have for any dry skin care and known as the very best cream for preventing pregnancy marks and stretch marks. Ideal for the hydration of very dry skin, solar dehydration, cold irritation and sensitivity, flaking skin and prevention of striae. - Apply over clean skin, in the morning and / or evening, repeat if necessary. - Paraffinum Liquidum (Mineral Oil), Aqua, Cera Alba, Lanolin, Sodium borate. Founded in 1835 by the brothers Barral, prestigious professors in Medical School. Together they developed one of the most successful of Portugues history: the "Creme Gordo Barral". This superb cream would be used by the masses and Royalty, and throughout generations it grew popular, not only for it's skin care in dry skin, but also for preventing pregnancy marks. In the 1950's the brand was already so well know that several Barral facilities were created in order to fulfill the demand. By 2000, the brand was acquired by Angelini Farmacêutica. From then on, Barral has been developing many other successful products made for the daily hydration of the body.